Living in Crestwood is more than pitched roofs, arched entryways, and grassy medians. 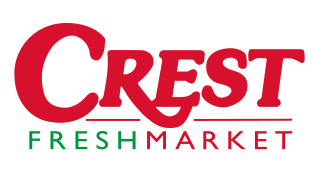 What makes Crestwood such a great place to live is its central location. 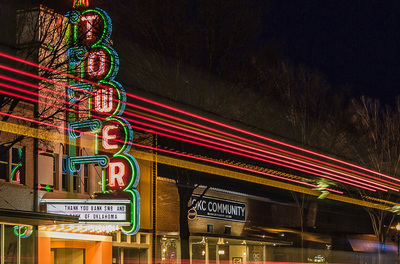 Whether it's employers, entertainment, locally-crafted products, restaurants, bars, places of worship, schools, or national retail chains, you're close to it in Crestwood. Join us on Nextdoor for recommendations, reviews, lost dog notices, safety reports, and more. 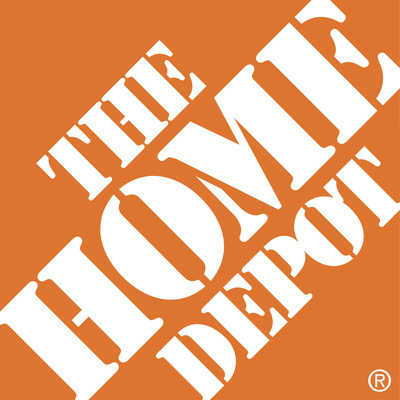 Crestwood's central location means it is close to many large employers. 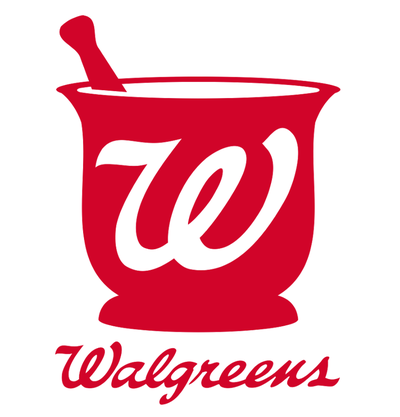 Each of the following employers are within a 10-minute drive from the neighborhood. 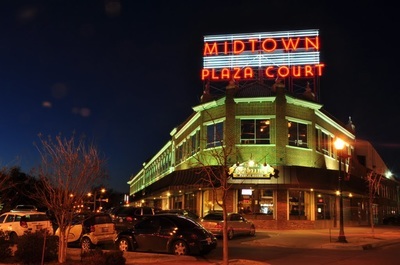 The Plaza District is our neighborhood's nearest entertainment district. A brisk 10-minute bike ride gets you to family dining, art, shopping and nightlife. 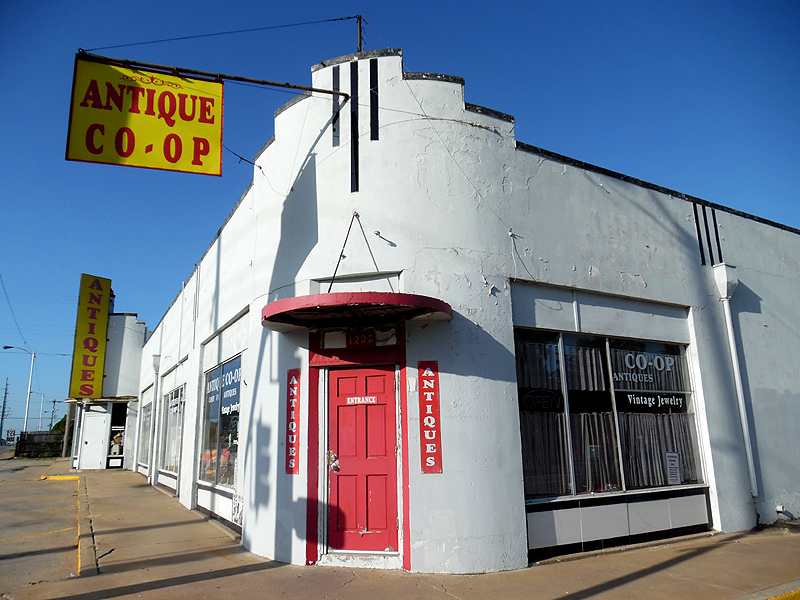 With the Plaza District just a mile away, you don't have to go far to experience one of the most unique cultural hotspots in OKC's urban core: art galleries; bars; restaurants; dance and yoga studios; general stores; and the Lyric Theatre. Be sure to attend their monthly "Live on the Plaza" event. 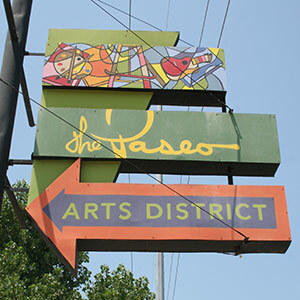 Living in Crestwood also means being less than 10 minutes away from Midtown, the Paseo Arts District, and Uptown 23rd. Use this map to discover all that's available near our centrally-located neighborhood. ​Click the upper left to view the legend. Crestwood's location provides all the convenience of living in the City with all of the retail opportunities of the City's suburbs. 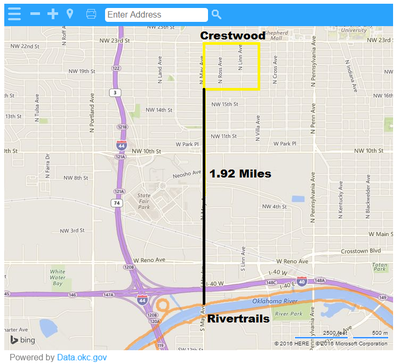 Crestwood is less than a 10-minute drive to Penn Square Mall and Belle Isle Station. 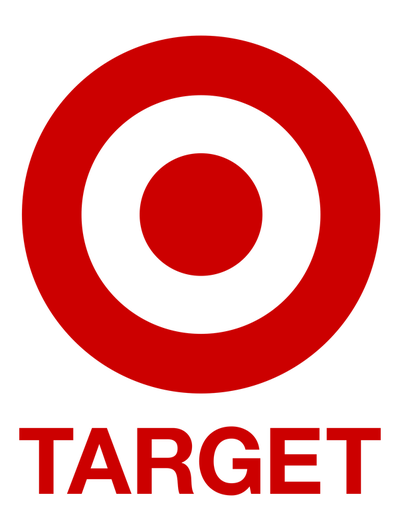 And, in addition to all the locally-owned retail options available in the Plaza District, Midtown, and the Paseo, each of the national chain retailers shown below are within a 10-minute drive of Crestwood. The proposed Lower May Business Association will market available retail space and commercial lots to business owners and developers who share the nearby residents' vision for a vibrant, revitalized stretch of North May Avenue. Crestwood is no ​food desert. 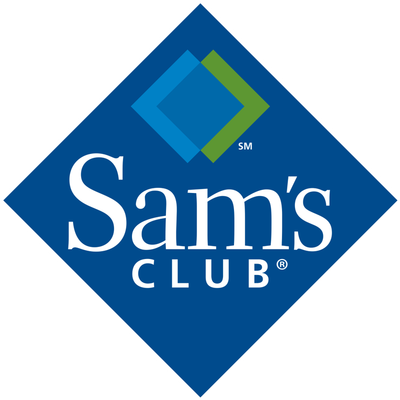 It is conveniently located near many grocery stores, both locally-owned and national chains. 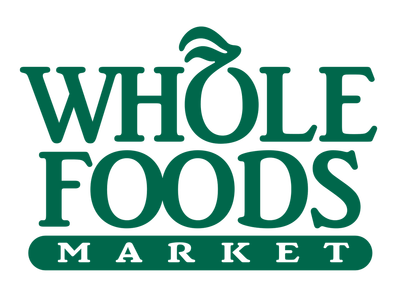 The stores listed below are all within a 15-minute drive, with some being less than a five-minute drive. Crestwood's children attend Cleveland Elementary School directly north of the neighborhood across NW 23rd St. They can safely walk to school via an underground tunnel bypassing the busy 23rd St. crossing. Crestwood's middle school-aged children attend Taft Middle School at the corner of NW 23rd and May Avenue. Crestwood's public high school is Northwest Classen High School, where a statue of NWC alum Vince Gill stands out front. Other famous alums include U.S. Senator Elizabeth Warren, former mayors Ron Norick and Kirk Humphries, sports broadcaster Skip Bayless, Chief of Police Bill Citty, and pioneering scientists William A. Martin and Ronald Fagin. 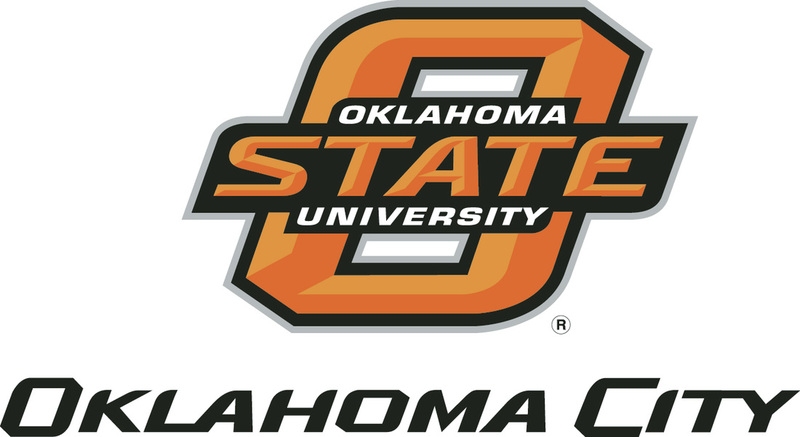 OSU-OKC is less than 10 minutes away from Crestwood. It offers more than 40 degrees or certificates for traditional students and working adults. It also hosts a weekly farmers market offering fresh produce, meat, poultry, and artisan products. 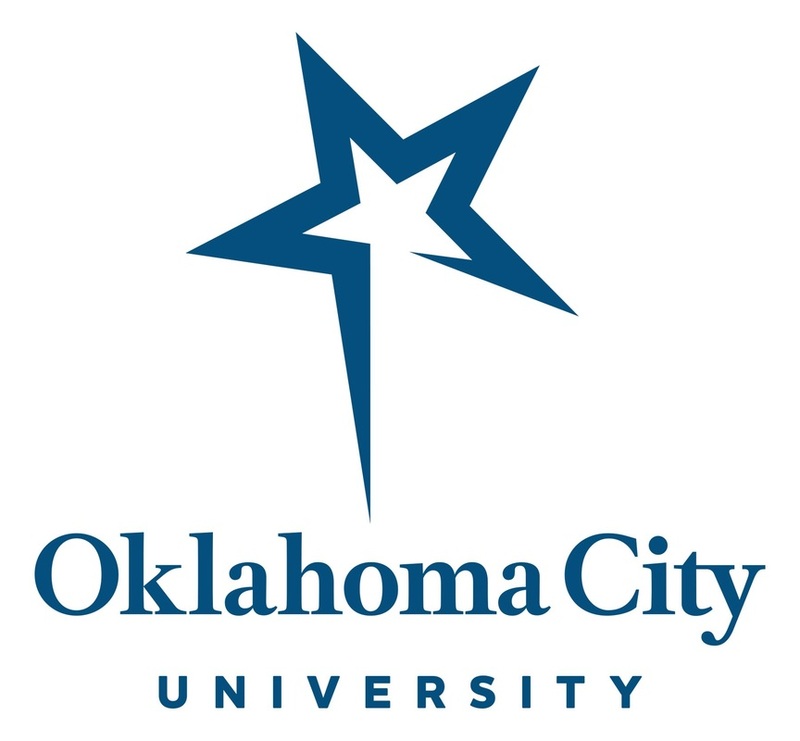 Oklahoma City University (OCU) is a private, traditional university five minutes away from the Crestwood neighborhood. 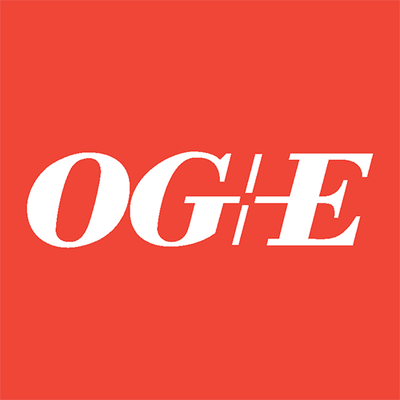 It offers more than 70 undergraduate programs and over 30 graduate programs. Having a four-year university so close adds to the eclectic feel of the neighborhood as students rent houses and become part of the fabric of the community. 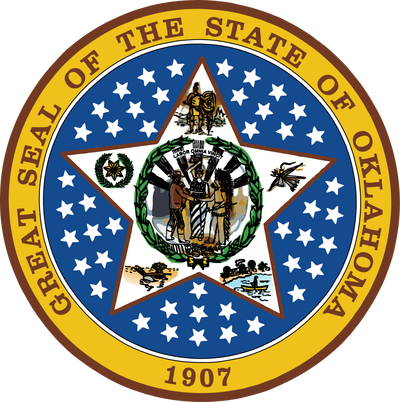 Notable alumni include: Kristin Chenowith; three Miss Americas (Jane Jayroe, Susan Powell, and Shawntel Smith); former FEMA Director Michael D. Brown; human rights activist Rana Husseini; TV host Chris Harrison; and Oklahoma Supreme Court Justices Yvonne Kauger, Marion Opala, and James R. Winchester. A short walk to the northwest of Crestwood stands historic Taft Stadium, where professional soccer club OKC Energy FC plays its matches. Taft Stadium also hosts high school football games and high school soccer matches, including the 2016 state championship game. It has a brand new track surrounding the field and is used by both Taft Middle School and Northwest Classen High School, which also has newly-renovated baseball, soccer, and football fields as well as a new track available for neighbors. There are three gyms within a 10-minute drive of Crestwood with Gold's Gym being only a five-minute car ride away from the neighborhood (and not much longer than that on foot). 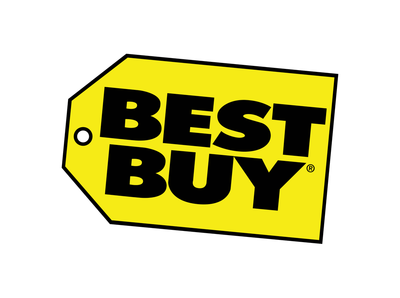 It is located in the Penn Crossing shopping center at NW 23rd and Penn Ave. 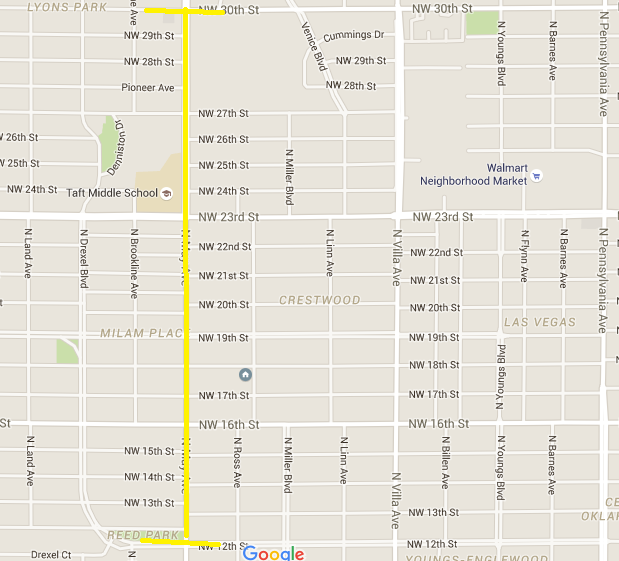 Anytime Fitness is east of Crestwood on NW 23rd and Fitness 19 is west of the neighborhood, also on NW 23rd. Reed Park is six blocks to the southwest of Crestwood. 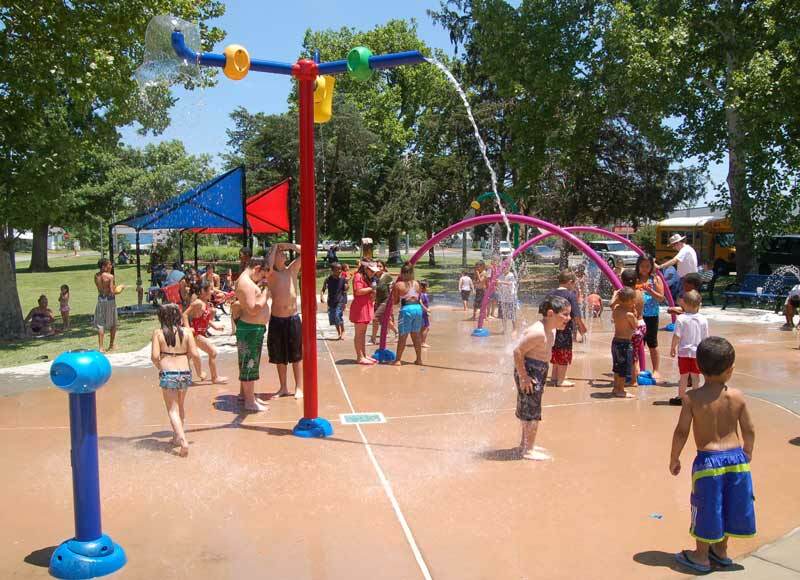 It boasts the City's largest "sprayground," an ideal place to take children in the summer. When the sun is not so hot, it is a beautiful, wide-open park just a short walk from Crestwood. Waymans Park is just a few blocks west of Crestwood in the Linwood Place neighborhood, also built by John J. Harden. 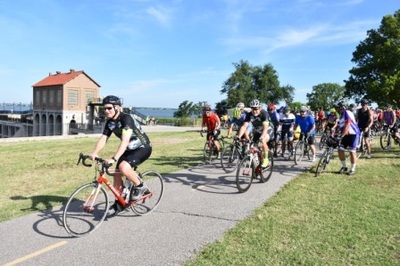 Crestwood is only a two-mile bike ride away from the Oklahoma Rivertrail system maintained by the City of Oklahoma City Parks and Recreation Department. Crestwood's central location means you're always close to health care, whether it's emergency or routine. General family medicine is just north of the neighborhood on NW 23rd. St. Anthony's Hospital is less than three miles east of the neighborhood. Integris Baptist Medical Center and AlliedHealth Deaconess Hospital are 3.5 and four miles north, respectively.. 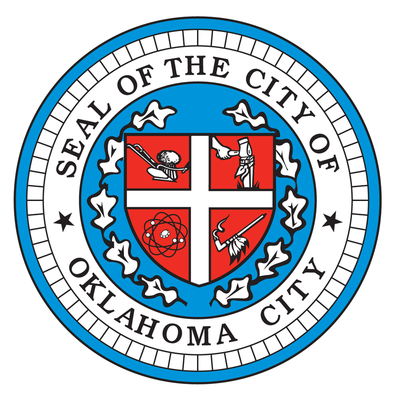 The Oklahoma City VA Medical Center is five miles east. Crestwood Vineyard is a non-denominational community of disciples seeking to actively engage in the ministry of Christ. 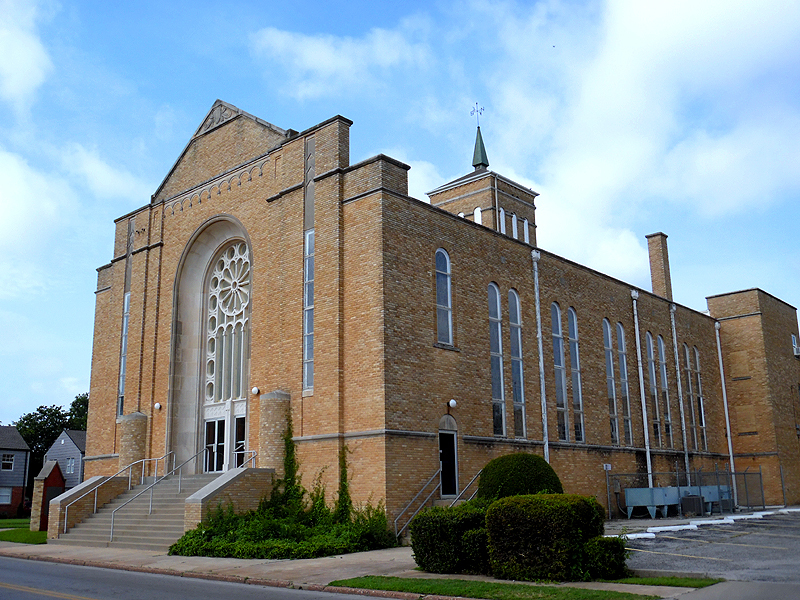 Situated on the corner of 16th Street & Villa, Crestwood not only serves as a place of worship but as a pillar of the community. Services begin at 10:30 a.m. on Sundays. There are many other places of worship near Crestwood, including Methodist, Baptist, Church of Christ, Church of the Nazarene, Catholic, Spanish-language, and Christian churches.